Tendency of a material to form a compound with another material. The amount of heat released (exothermic) or consumed (endothermic) during the chemical reaction is referred to as reaction enthalpy. 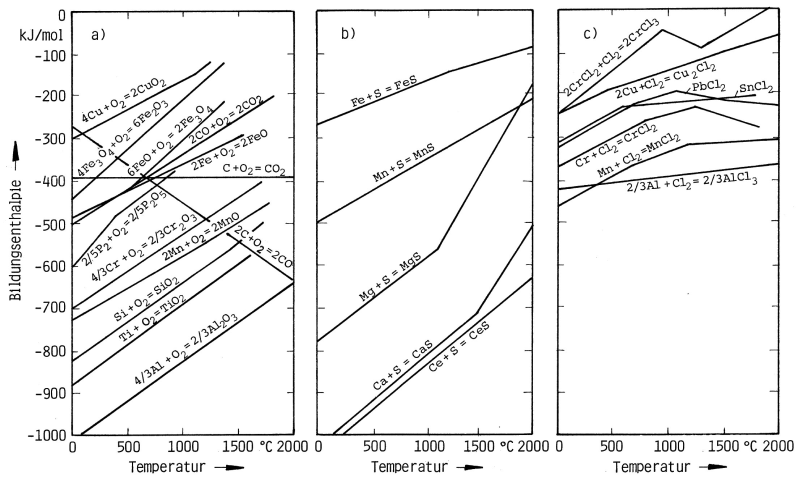 This is a way to evaluate the oxide forming ability of materials. The affinity list summarizes all metal oxides according to their oxide formation heat released. This list shows that the oxide with the highest reaction enthalpy (with the according metal) has the strongest tendency towards oxidation (oxygen uptake). Thus, by means of oxidation it is possible to selectively remove metal additives in a melt in the order of decreasing oxide formation enthalpies. In this process, the formation enthalpy at the appropriate treatment temperature of the molten metal to be purified is always decisive.